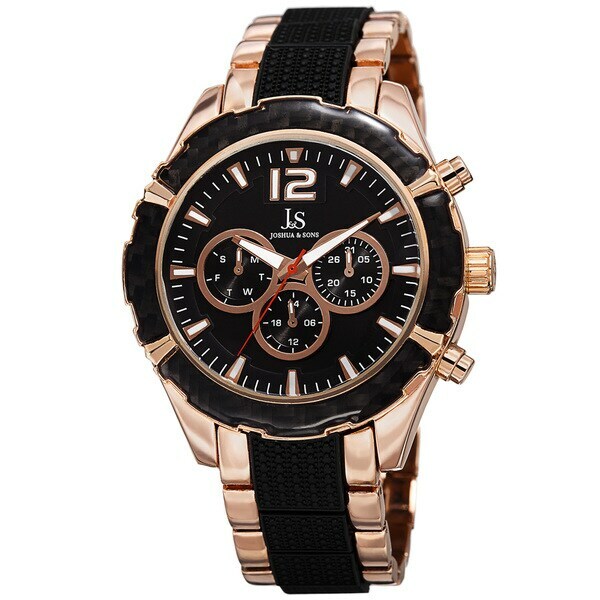 Joshua & Sons presents this stylish timepiece. Powered by a reliable Swiss quartz movement this watch features a multifunction dial displaying the day, date and dual-time. The compelling step dial and handsome sporty design make this watch a keeper.